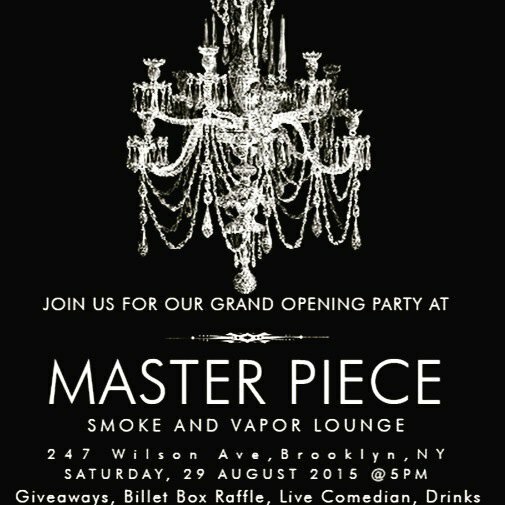 Master Piece, a new smoke shop and vape lounge on Wilson and Myrtle, is having it's grand opening this Saturday. 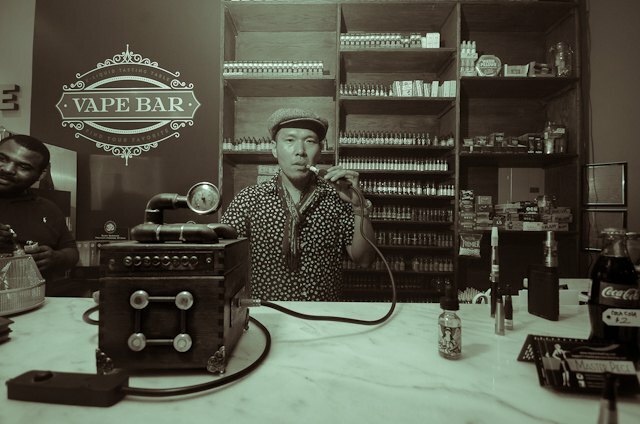 The stellar '30s-style lounge comes to Bushwick from Mike Chang, who's been in the smoke-based business for about 11 years, including a cigar shop and an already successful vape lounge in Greenpoint. So it’s safe to assume he knows what he’s doing. 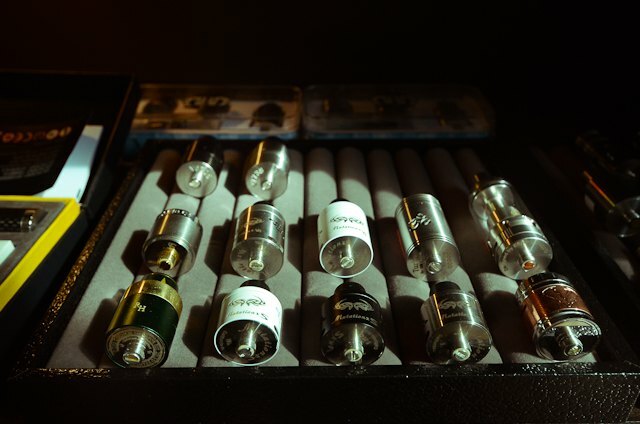 Now, before the non-vapers roll their eyes and click on out of here, just… wait. I was skeptical, too. But this place is like the clubhouse you wanted when you were a kid. Except now you’re an adult so you can do things like drink and smoke and play video games without worrying if your parents will find out. Let’s get one thing out of the way: this place is B.Y.O.B. So it wouldn’t be crazy if you imagined everything I’m about to say with a beer in the picture. (And it doesn’t hurt if you bring a little something to share with the guys behind the counter. For the record Mike likes vodka.) 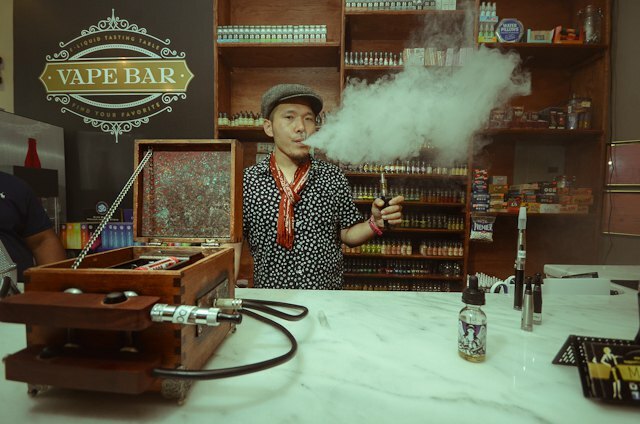 The shop has a large marble countertop bar to enjoy your goods, and behind that are your vape flavors. 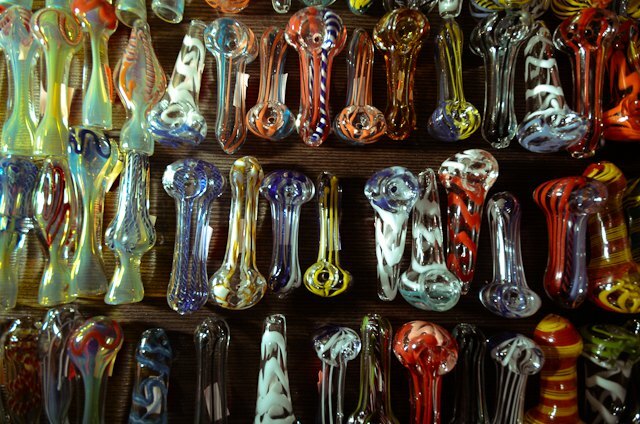 They’ve got 100 of them, including a handful of handcrafted flavors that they test and switch out every month. Plus they’re soon getting a shipment of a super rare, hard-to-find collection based on Krispy Kreme flavors. All of the yes. 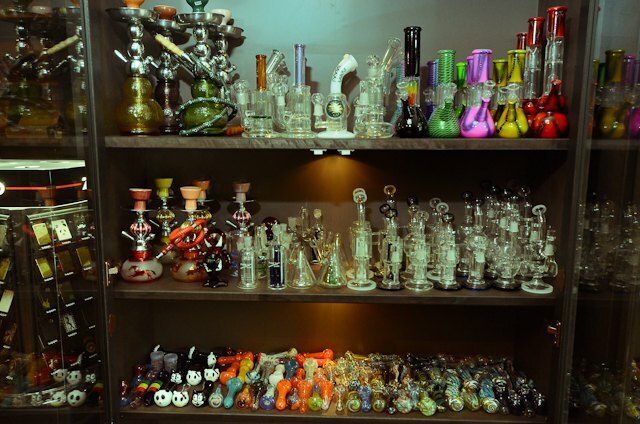 On the opposite wall they’ve got your standard smoke shop fare. 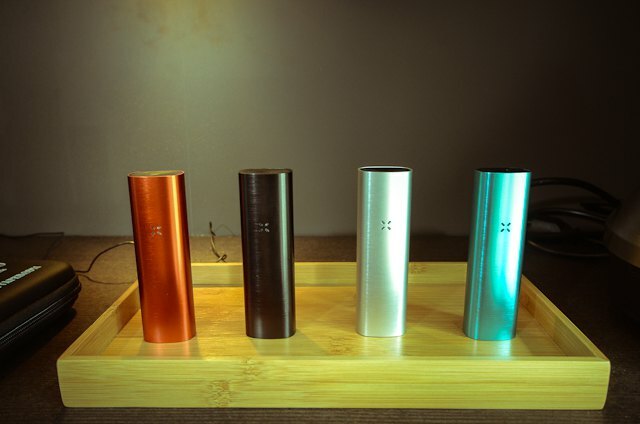 E-cigarettes, vaporizers, and glass pipes of all shapes and sizes. 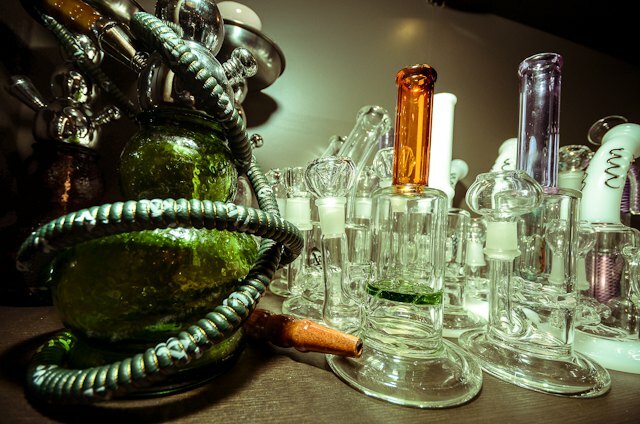 Any way you take your herbs and flavors – dried, waxy, through water – they’ve got you covered. Beyond that is the cigar humidor. 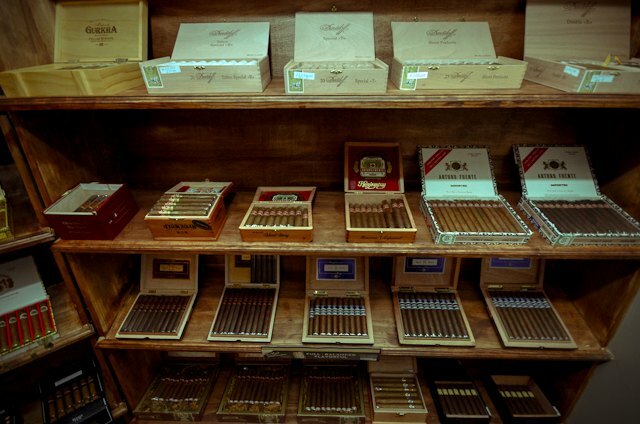 If you’re a cigar person, you’ll be a kid in a candy shop. If you’re not a cigar person, now you’ve got a classroom to learn. That’s the other great thing about Master Piece. If you don’t know what any of this is, they’ll walk you through it without making you feel weird. They even told me vaping is a great alternative to smoking because you can get the nicotine without all the damage to your lungs. Then I Googled it to make sure. It’s true. 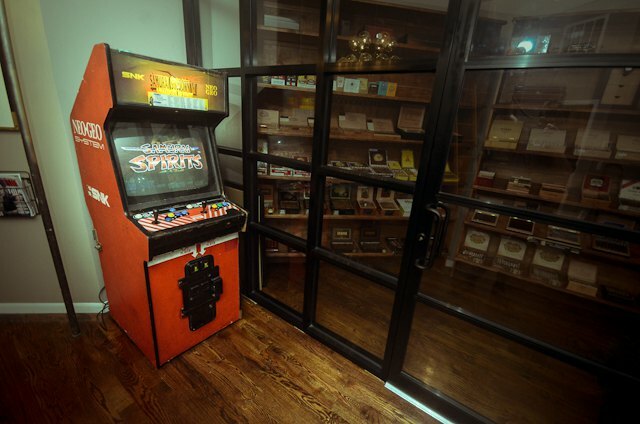 As for the other highlights, they’ve got a massive tufted leather couch for lounging on, an old school video game console with 150 arcade games, and, if you’re lucky, dogs. Every good smoke shop needs dogs… is a rule I just made up. Master Piece is having their grand opening on Saturday with the festivities starting at 5 p.m. They’ll have free giveaways, shirts, hats, stand-up comedy, and a raffle to win a limited edition handmade billet box (that goes for about $800 on eBay, by the way). Definitely a place you want to be. 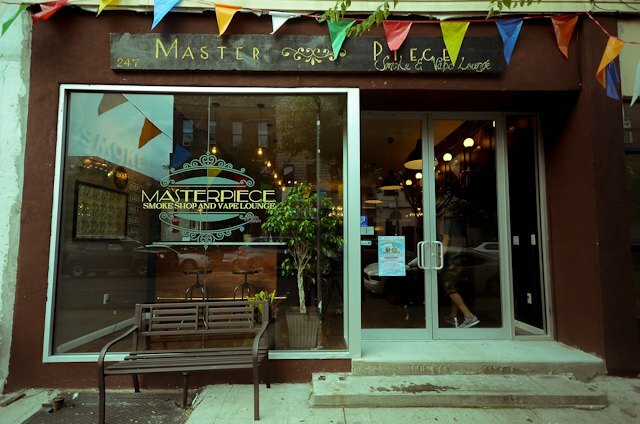 Master Piece grand opening Saturday August 29th at 5 pm. 247 Wilson Ave, between Himrod and Harman, Bushwick.